Title: PUNISHER NEW 4K BLURAY. Format: 4K Bluray. You are also entitled to have the goods repaired or replaced if the goods fail to be of acceptable quality and the failure does not amount to a major failure. Title: I AM WRATH NEW DVD. Format: DVD. One of our dedicated team will personally respond to you as soon as possible. You are also entitled to have the goods repaired or replaced if the goods fail to be of acceptable quality and the failure does not amount to a major failure. Title: WILD HOGS (WS) NEW DVD. Format: DVD. We want you to be 100% happy with your order. You are also entitled to have the goods repaired or replaced if the goods fail to be of acceptable quality and the failure does not amount to a major failure. Video Format: NTSC. TWO OF A KIND [DVD NTSC/1 NEW]. Title: OLD DOGS NEW DVD. Format: DVD. You are also entitled to have the goods repaired or replaced if the goods fail to be of acceptable quality and the failure does not amount to a major failure. One of our dedicated team will personally respond to you as soon as possible. Title: PRIMARY COLORS (WS) NEW DVD. Format: DVD. We want you to be 100% happy with your order. You are also entitled to have the goods repaired or replaced if the goods fail to be of acceptable quality and the failure does not amount to a major failure. Title: LOOK WHO'S TALKING TOO (WS) NEW DVD. Format: DVD. We want you to be 100% happy with your order. This disc is region 1 and will only play on players from Canada or USA, or you may have a player that can play multiple regions. Title: LADDER 49 (WS) NEW DVD. Format: DVD. You are also entitled to have the goods repaired or replaced if the goods fail to be of acceptable quality and the failure does not amount to a major failure. Two-disc set. Release Date: 24 Apr 2018. Title: TWO OF A KIND (1983) (WS) NEW DVD. Format: DVD. We want you to be 100% happy with your order. One of our dedicated team will personally respond to you as soon as possible. You are also entitled to have the goods repaired or replaced if the goods fail to be of acceptable quality and the failure does not amount to a major failure. Format: 4K Bluray. Title: GREASE NEW 4K BLURAY. We cannot be held responsible for delays if you do not use this reference. You are also entitled to have the goods repaired or replaced if the goods fail to be of acceptable quality and the failure does not amount to a major failure. Release Date: 26 Jul 2016. of Discs: 1. Studio: LIONS GATE. This desc is region 1 and will only play on players from Canada or USA, or you may have a player that can play multiple regions. DVD - Movie. DVD - Music. Vinyl - Pre Loved. Vinyl - New. Sheet Music / TAB Music. WILD HOGS [WS] [DVD NTSC/1 NEW]. Video Format: NTSC. Studio: TOUCHSTONE VIDEO. 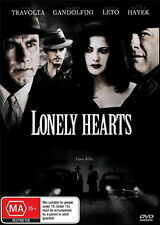 Starring: Balthazar Getty, Billy Burke, Jacinda Barrett, Jay Hernandez, Joaquin Phoenix, John Travolta, Kevin Chapman, Morris Chesnut, Robert Patrick, Tim Guinee. Pulp Fiction [Region 1] - DVD - New - Free Shipping. Region : 1. Producer : Lawrence Bender. Wild Hogs [Region 1] - DVD - New - Free Shipping. A group of middle-aged friends decide to rev up their routine suburban lives with a freewheeling motorcycle trip. The trip begins to challenge their wits and their luck, especially during a chance run-in with the Del Fuegos, a real-life biker gang who are less than amused with their novice approach. Primary Colors [Regions 1,4] - DVD - New - Free Shipping. Jack Stanton is a virtually unknown Southern governor on a quest for the White House with his strong, savvy and equally ambitious wife, Susan. Running against all odds, the Stantons get help from their colorful political team. Ladder 49 [Region 1] - DVD - New - Free Shipping. Format: DVD (PG). Release Date: 08 March 2005. New Arrivals. Health & Beauty. Two of a Kind [Regions 1,4] - DVD - New - Free Shipping. Format: DVD (PG). Release Date: 01 June 2004. New Arrivals. Health & Beauty. 80 minute feature film DVD. Release Date: 25 Sep 2007. Format: DVD-STANDARD. Video Format: NTSC. Grease [Blu-ray] [Regions 1,4] [Blu-ray] - DVD - New - Free Shipping. Grease (40th Anniversary Edition) Region 1 Free Shipping! Grease (40th Anniversary Edition). Region 3 Southeast Asia, East Asia, including Hong Kong. If it does, then the following codes identify discs that are compatible with the players typically sold in that region. I Am Wrath - DVD Region 1 Free Shipping! I Am Wrath. Format DVD. At The Nile, if you're looking for it, we've got it. We've got this. Grease - Blu-Ray Region 1 Free Shipping! 1950s good girl and greaser try to be like each other. At The Nile, if you're looking for it, we've got it. We've got this. Format Blu-Ray. John Travolta, Will Patton, Rebecca Romijn-Stamos, Laura Harring, and Roy Scheider co-star in the brutal screen adaptation of the Marvel Comics anti-hero. Two-disc set. Release Date: 25 Sep 2018. Primary Colors. Format DVD. Based on Bill Clinton's first presidential campaign, a womanizing, charming, and unknown Southern governor runs for president, against all odds. 1998/color/104 min/R/widescreen. Speed Kills - Blu-Ray Region 1 Free Shipping! Speed Kills. At The Nile, if you're looking for it, we've got it. We've got this. Format Blu-Ray. Original Title: Be Cool (Widescreen Edition) (Bilingual) (Canadian Release) (DVD NEW). Format: DVD. open image in a new tab for full size. Format DVD. Condition: New. 1-3 Weeks for delivey 1-3 Weeks for delivey. Look Who's Talking Too - DVD Region 1 Free Shipping! Look Who's Talking Too. 80 minute feature film DVD. Format DVD. At The Nile, if you're looking for it, we've got it. Artist John Travolta. Wild Hogs - DVD Region 1 Free Shipping! Wild Hogs is about four weekend-warrior friends who decide to rev up their ho-hum suburban lives with a cross-country motorcycle adventure. They don their leathers, fire up their hogs and throw caution, and their cell phones, to the wind as they hit the open highway.